It means a simple makeup ingredient list that won’t clog pores, irritate or inflame skin, is sans toxic chemicals & dyes. This makeup is ideal for those of us suffering from cystic acne, psoriasis, and eczema; it’s even gentle enough for people who have autoimmune disease. Kathy and Nicole, a mother-daughter duo, developed La Bella Donna out of their own frustration at the makeup industry which was producing products that were filled with irritants and chemicals. 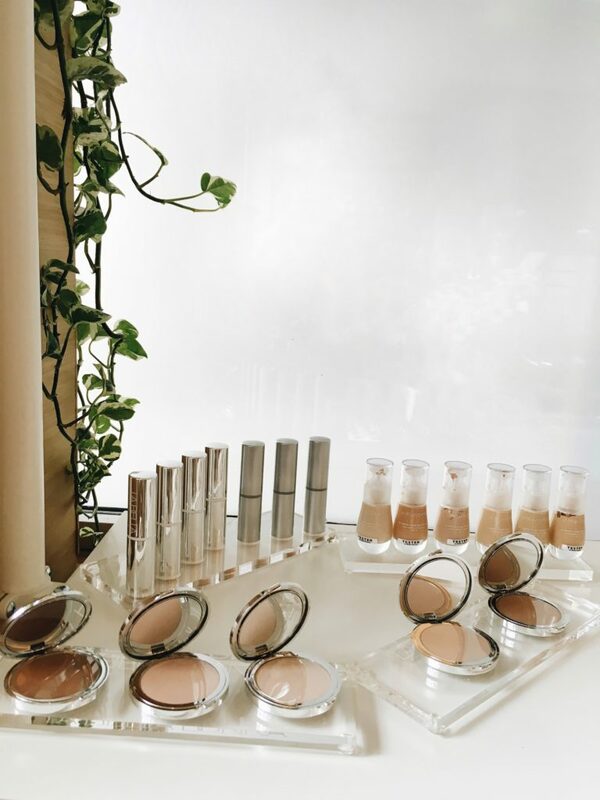 A fun fact is it’s actually one of the first mineral makeup brands in the market and it’s actually a mineral product with all of its fine benefits. The best part is that the coverage is buildable from the makeup-no-makeup look to full coverage that is movie set worthy. So how do weuse La Bella Donna? Just pop this translucent powder over your face to set your foundation or concealer while giving you that UVA and UVB protection. It stays put even in a hot yoga & it gives a nice smooth canvas for any add ons. This will give you buildable coverage that is water resistant. It will stay on your skin until you wash your face. La Bella Donna Compressed Minewill not clog your pores and instead will give you a refined finish that is velvety and matte. I LOVE THE PACKAGING! The set up is identical to that of the translucent powder. This one is truly made for my minimalist guys and gals that are always on the go. The dial set up is key for diffusing the amount of product you’d like on your skin–it can go very a-la minimal to a more full coverage set up. It’s the perfect size to carry in your purse or backpack if you like adventuring in the outdoors, going to your spin class, or just taking a spin in the city with friends. It has the same velvety matte finish as the Pressed Mineral Powder Foundation. The formula leaves the skin looking dewy and hydrated and does not settle in fine lines but rather produces a smooth finish. When paired with the powder foundation you’ll get that FULL ON glam coverage for all my full face babes. This ideally works best with the Translucent Powder and the Mineral Foundations to give you that extra SPF kick. It’s all about layering! There you go ladies and gents! 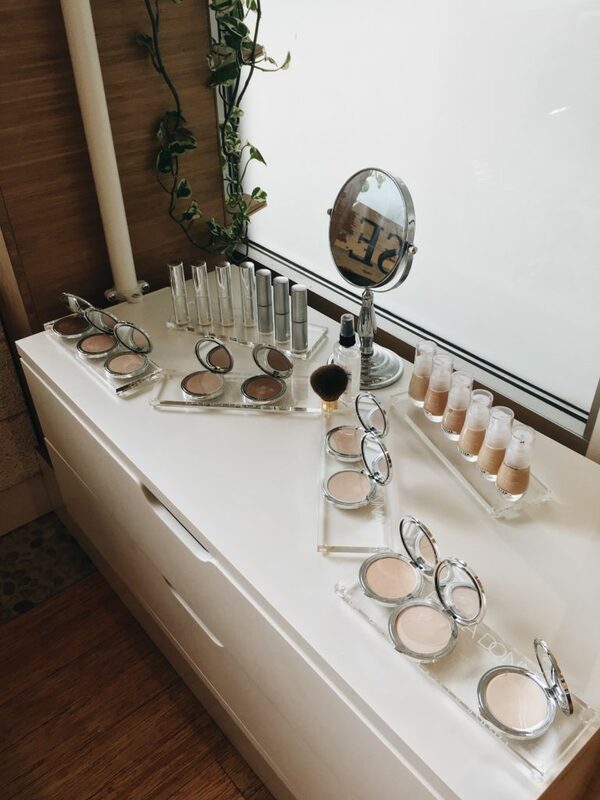 Come into the spa and say ‘hello’ and play with makeup!